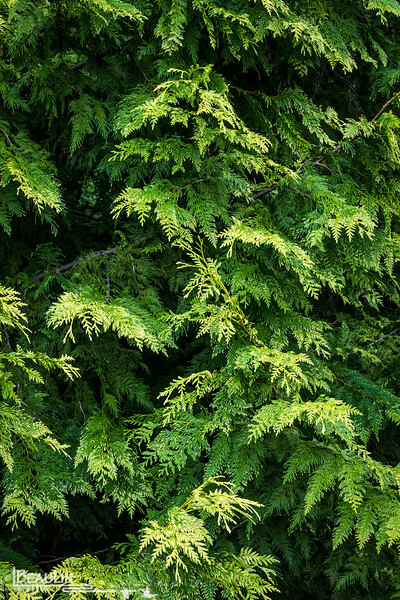 Abstract composition of the textured foliage of Wester Red Cedar (Thuja plicata), a very important species of the thick temperate rain forests of the Pacific Northwest. This species grows up to 180 feet tall, and 15 feet or more in diameter, and is therefore one of the world's largest conifers. Known as the "tree of life" or "Long-life maker"